Independent Bookstore Day marks its fifth year of celebrating independent bookstores nationwide on Saturday, April 27th, with literary parties around the country. 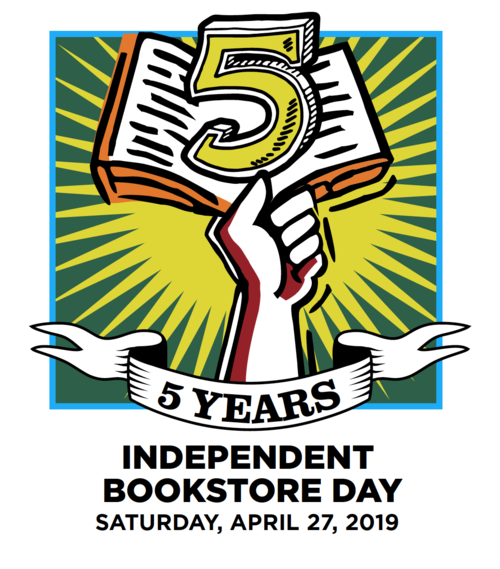 The Bookstore Plus is hosting an Independent Bookstore Day party with an open invitation to our local community and to all our loyal customers beyond.
. Independent Bookstore Day is a one-day national party that takes place at indie bookstores across the country on the last Saturday in April. Every store is unique and independent, and every party is different. In a world of tweets and algorithms and pageless digital downloads, bookstores are not a dying anachronism. They are living, breathing organisms that continue to grow and expand. In fact, there are more of them this year than there was last year. And they are at your service..
PARTY AT THE BOOKSTORE PLUS | 9 AM - 6 PM with free Mimosa's and Cupcakes! The Bookstore Plus has a fun filled day of free events planned. They will kick of the day with free mimosas from 9:00 AM-11:00 AM, or while supplies last. "The Living Reading Space" will take place from 9:30 AM-5:00 PM, and free cupcakes will be served at noon. From 1:00-3:00 PM: Kiley Frank, children’s book author, will be signing copies of her new book, "Tomorrow Is Waiting" and from 3:00-5:00 PM: Maxwell Eaton III, children’s book author, will be signing his funny and educational books in his “Truth About” series. Also, taking place all day will be The World's Easiest Scavenger Hunt. Take a walk around the store for a literary scavenger hunt. One lucky participant will win a $50 gift certificate for completing the scavenger hunt. And last but not least, stay tuned for a secret code to be released on social media (Twitter, Facebook and Instagram) for a chance to receive $2 dollars off a $10 dollar purchase or more. 1-3 PM: Kiley Frank, childrens book author, will be signing copies of her new book, "Tomorrow Is Waiting". 3-5 PM: Maxwell Eaton, childrens book author, will be signing his funny and educational books. Please support your local bookstore and join in on the fun!